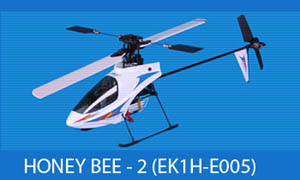 Honey Bee CP2 Parts At : Electric scooters motorized bicycles .com is a wholesaler and reseller of of high quality electric products including rc electric helicopters and electric mobility scooters. We have a 20 dollar minimum on parts orders . For this reason we do not charge shipping on electric helicopter parts. Buy 2 at a time and get a better deal. We ship by Fedex "Ground" usually on the same day you order! Place your order with confidence, by phone online by using our secure Paypal shopping cart.